Visual Studio Code>Themes>Material ThemeNew to Visual Studio Code? Get it now. The most epic theme meets Visual Studio Code. You can help by reporting issues here. 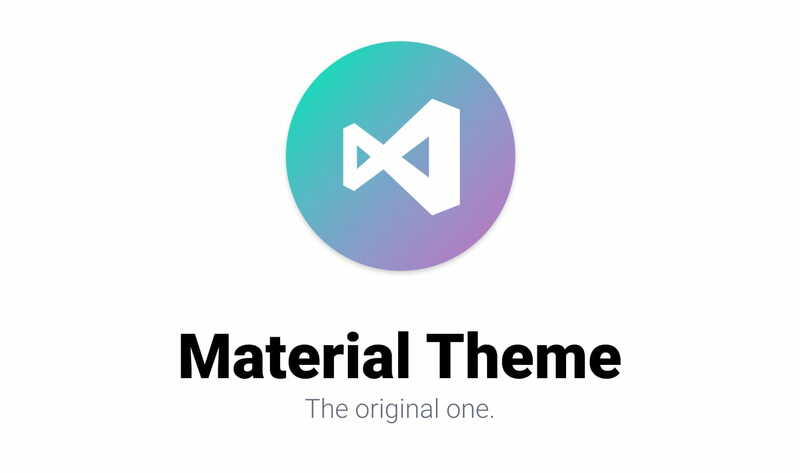 You can install this awesome theme through the Visual Studio Code Marketplace. Type theme, choose Preferences: Color Theme, and select one of the Material Theme variants from the list. After activation, the theme will set the correct icon theme based on your active theme variant. Type material theme, choose Material Theme: Set accent color, and pick one color from the list. You can override the Material Theme UI and schemes colors by adding these theme-specific settings to your configuration. For advanced customisation please check the relative section on the VS Code documentation. // Controls the line height. Use 0 to compute the lineHeight from the fontSize. // Controls if file decorations should use badges.